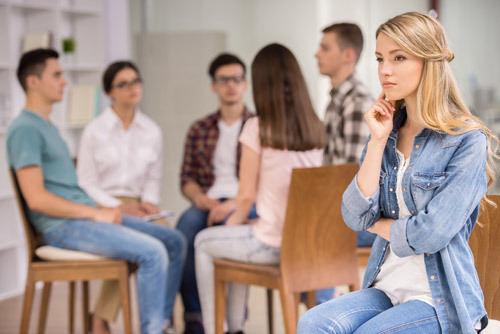 Intensive Outpatient Treatment provides the flexibility to avoid disruption to your every day by providing therapeutic support to make the necessary lifestyle changes to support recovery. We are collaborative in our approach and we are here to you get connected with local, community resources, making it possible to develop a wellness plan while still maintaining your life responsibilities. You and your supporting loved ones will receive education about substance use disorders from our knowledgeable staff. Working on a recovery plan is necessary for everyone in the home to support the person identified with the substance use disorder. Our IOP program consists of 9 hours of weekly treatment. An established curriculum of services will be applied over a 12 week period with the participation and parents and family members. Helping the family understand the disease of addiction or mental illness. Provide family members with healthy tools to improve overall family communication. Developing motivation for ongoing outreach and support for all family members to assert their own path to recovery. NWCC's diverse treatment model is designed to create healthy connections with adolescents. Our established and proven curriculum has been developed through years of clinical experience. We encourage the participation of both the adolescent and parents.